new installations, service requests and more. machines to aid your businesses productivity. voice, IT Hardware, and support. Are you moving, growing or is it just time to improve your technology systems to be more cost effective and efficient? Eastern American Technologies has been providing prompt and personalized technology equipment and services to address the challenges your company or organization needs to stay relevant, cost effective and to eliminate downtime since 1972. Eastern American Technologies is the premier technology services company to the commercial business, public sector and residential markets in the New York Metropolitan Area. Specializing in communications integration and the convergence of voice and data systems, we offer a wide range of services to fit any need. 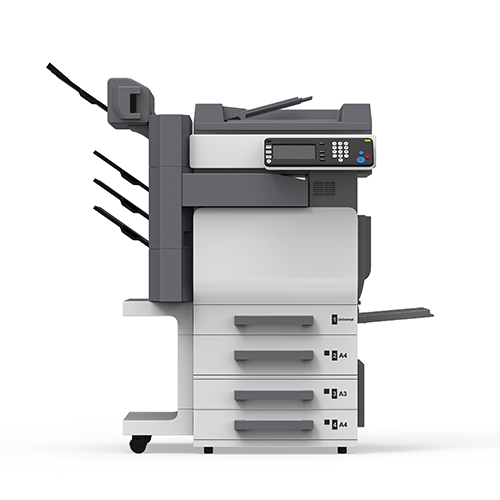 Our technicians, specialized in an array of Office Equipment, are highly skilled and represent Eastern American Technologies demanding standards. 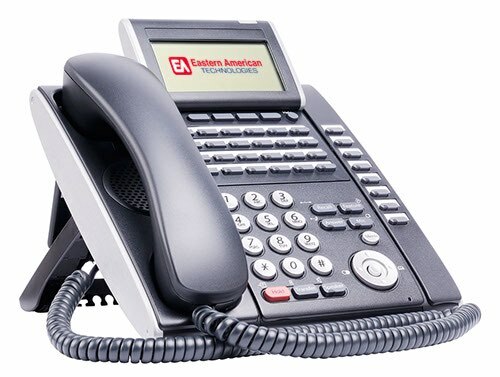 Taking great pride in offering our customers the best equipment and expedited service in the Metropolitan Area, Eastern American Technologies stands by the quality of our service. 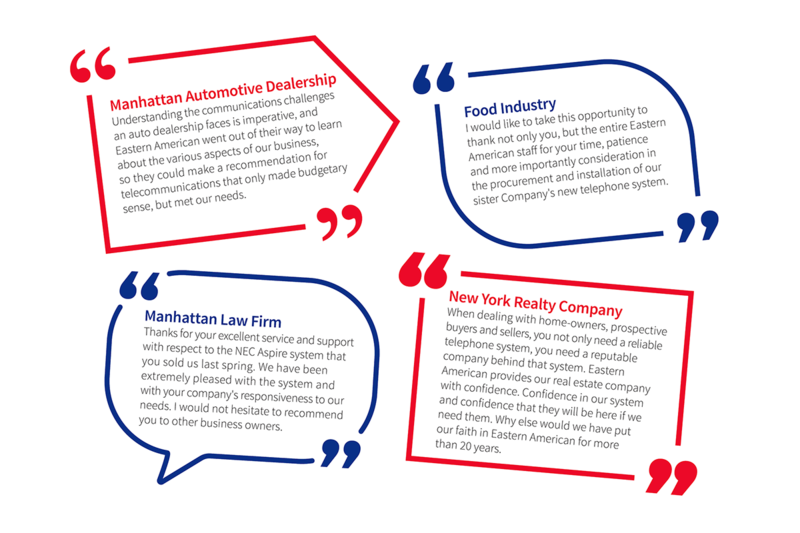 read what some of clients have had to say. Below are some helpful tips and explained videos for the most commonly asked questions. Simply click on a category and then select your topic. Need further assistance? Please contact us using the contact form below.